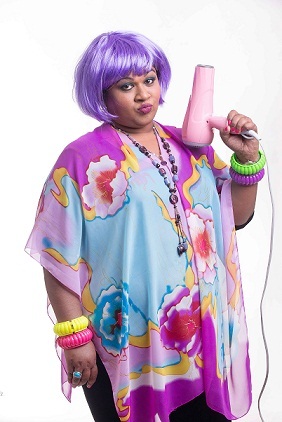 artSMart: MAESHNI NAICKER IS SALON SUE! MAESHNI NAICKER IS SALON SUE! Hugely popular radio, theatre and film star, Maeshni Naicker (Keeping Up With The Kandasamys, Broken Promises, Florida Road, Curse of Highway Sheila) makes her debut solo appearance in Salon Sue, a bubbly new comedy about hair stylists and their clients. Written and directed by Clinton Marius, the production will be presented at Sibaya’s iZulu Theatre from July 28 to 30, 2017, by Copy Dog, the multi-award winning production house behind a string of stage hits, including Lollipop Lane, B! *ch Stole My Doek and Mystic Twisters, among others. Salon Sue runs at the iZulu Theatre at Sibaya from July 28 to 30 with performances are at 8pm on Friday and Saturday at 20h00 and on Sunday at 15h00. Tickets R120 booked through Computicket at branches of Shoprite Checkers, telephonically on 086 915 8000 or online at www.computicket.com With just three performances, early booking is advised to avoid disappointment.